Sometimes, it can look like Google and the other search engines are out to get you, what with the Google Panda and Penguin updates. I know a lot of bloggers who were totally buried under the fury, and many people have quit blogging entirely because of that. Well, good news- there WILL be more updates in the future. Updates that WILL leave a lot more people in the lurch and these people are the ones who are using poor, outdated and totally unscrupulous SEO tricks to boost their search engine rankings. You have probably read a lot of guides on boosting your SEO ranking by now. Erik has a nice guide here, if you are looking to get set up, but you also need to know the SEO tricks you should avoid like a plague. It may be tempting to try out some of these tricks, and they may promise you a quick rise to the top, but in the long run it could cost you more than it benefits you. If a website like “EzineArticles” comes to mind when you are drafting out your SEO plan, you are already doing it wrong. Even before the Panda update, it really wasn’t effective, and with the update, it is basically totally worthless. The only benefit may just be to get a couple of low-grade quick links to your blog. If you want to get link building, do it the right way. Proper and effective link-building takes time and effort. Instead of going after the cheap links, work with fellow bloggers and submit quality guest posts. That would get you better SEO juice. Ah, this is another popular SEO blunder. A lot of SEO neophytes think Press releases are a great idea for the start-up business, since it would get their name out there. To be honest, it would, but only if you have news. If you don’t have anything newsworthy to talk about, don’t do it. If you don’t have anything newsworthy to talk about, you are basically getting cheap links from the news channel, which is worthless, just like free article submissions. This one is totally worthless and dilutes the effect of the original linkage you may have built. Getting reciprocal links by asking people you linked to for the favour of linking back to you is just a smoke signal to search engines, telling them you have gotten your links the wrong way. Just work on linking to relevant brands and blogs. It will pay off in time. This is a very common SEO technique, and it seems like this one won’t be dying out any time soon. It’s time to kick out empty and shallow content. If you are outsourcing your content and getting fluff in return, it may be time to change your ‘content dealer’. When you write, you should strike a reasonable balance between writing for the audience and for search engines. Also, if you have been writing the same stuff for so long that it begins to feel dry even to you, chances are that your readers feel the same way. Tools! That is just our problem nowadays- too many tools and too few people that know how to use them. I am not anti-tools, but if you must use them, know how to use them, and how to use them judiciously. Companies that don’t like doing social media but don’t want to look anti-social totally rely on automation, which ends up ruining the works. Social media is supposed to be your interactive platform with your customers and readers. If you automate it, you are already wrong. This is totally self explanatory and also is a crucial one. You should NEVER just ‘do’ SEO: your SEO tactics should be premeditated and executed with precision, based on a plan you already have! Weirdly enough, many SEOs fall into this category. They are the people who focus on the Page Rank, ‘figures’ and ‘statistics’ that make them look shiny and smooth before their clients. What you should actually be focused on in your SEO campaign are the tangibles: the traffic increase, the conversion (how many readers you are turning into buyers). This is just a disaster waiting to happen, primarily because things can still go on fine with you ignoring the other search engines. Go check your analytics. How much of your organic hits come from Google? What about the other engines like Bing and Yahoo? SEO must be complete. Don’t ignore the others. If, for any reason, there is a major search engine revolution, you want to be riding high on the backs of whatever new search engine’s the boss on the block. Having a flashy website is the least of your worries. Don’t let your website design ruin your SEO efforts for you. Get a good website designer that knows how to create your site navigation for optimal SEO visibility. You should have seen them – ads promising you hundreds of links to your website. The people selling these links usually masquerade as SEO companies. Avoid them! Getting these bought and disreputable links is about the same as getting several letters of recommendations from various prison convicts. Again, avoid them. Ah, yes, the constant problem with Article marketing. You write one article, spin it into five to ten variants and submit them to several article directories. This trick would have worked wonders in 2008, but in 2013, Google has grown smarter and better at sniffing out these poorly disguised ‘duplicate’ content and would promptly drop your page rank. Remember, if you are spinning articles to these directories, so are others – and essentially, you are linking back to rubbish. Google’s stand on too much use of keywords in your SEO-oriented articles is final. Overusing a keyword in your article in the hope that it would rank it better with the search engines achieves the opposite effect. Use the right keyword density when writing your articles. Google, and search engines in general, get an idea of what your page is about from the anchor text, and rank you accordingly. If you are writing about Purple Zara Shoes, then Purple Zara shoes may be one of several anchor texts which link back to your post. Other variants may include “Zara shoes”, “Purple shoes”, or even plain old “shoes” or just links without anchor text. If you try to manipulate the system to score for a keyword and link to your site with unnatural recurrences of the same anchor text, Google would be alerted to suspicious activity, and subsequently drop your ranking. This is not exactly a Bad SEO trick, but the result of one. Google has made its stand on broken links very clear: sites with broken links will be penalized. It becomes your responsibility to log on to your Google Webmaster Tools from time to time to correct all broken links. This one is a really bad SEO trick. This black hat SEO trick can get you deleted permanently off the Google search results. When you use programs to make sure Google sees your site as one thing, and your visitors see it as something else, you would basically be cloaking. This is self-explanatory. Simply because a particular keyword is driving traffic doesn’t mean you should use it on your site, especially if it has nothing to do with what your site is all about. When you take another website’s content without permission, or when you use unethical content not supported by legal terms, you risk being banned by search engines. How do you rectify this? Just DON’T copy in the first place! You’ll save yourself a lot of trouble. These pages are basically designed to get more SEO juice, and are now being frowned on by search engines. Doorway URLs redirect users through several pages until they get to the final pages. If you use doorway URLs to boost your search engine ranking, this is a not-so-subtle hint for you to stop. While redirecting in itself is not wrong, doing it the wrong way may makes search engines think you are using doorway practices (as above) or cloaking (also above). The most recognized and safest method of redirecting is the ‘301 redirect’ and you should try to use this when you have to redirect to another domain or page from your site. The correct term for these links is ‘single pixel links’. These links are so small, that they cannot really be seen with the naked eye, and they may sometimes blend with the background of the webpage. 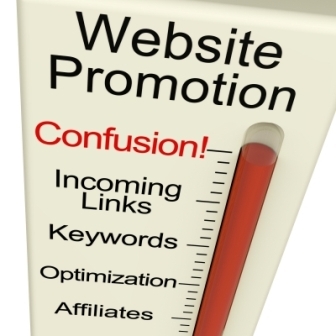 Any SEO person who puts the links on the site is basically doing it to manipulate the search engines. Unfortunately for them, search engines have gotten wiser. Don’t try that method, ever. In essence, don’t be a jerk. Do not try any of these shortcut and easy methods of SEO – they may give you a temporary boost, but when the time for retribution comes, it would all come crashing down for you. Work hard, make painstaking effort to link with reputable and unclogged sites, and it would pay off better. My name is Valentine, creator of JustRetweet, I blog via Business Gross an entrepreneur working as a moderator at Bizsugar a small business community news site. Really useful article, article spinning is really waste of time, also reciprocal links method is dead now, thanks for letting me know about all these details. This is a great article on SEO. Sometimes, what not to do is much more important than knowing what to do. Thanks for this quality article. enjoyed your article. I did not even think that anyone could use some of the practices you mentioned. That’s crazy. My only problem is that when I write an article on some topic and the description of the topic is limited to a single or at most a few words, I get so paranoid that I am overusing the word and will get penalized. I really wish we could just be ourselves and write How it suits our given purpose, without a thought about SEO, search engines…If only. Great! The points are super, but I’m not sгre whether yoг should orient to some other search engines except Google. They say if you run after two hares, you will catch neither… so better be careful with it. Great list of things to avoid. Article spinning is especially bad as it shows laziness to create quality content which should be punished. Seo is almost a waste of time. After the new algo changes the only SEO that works is Youtube. Focus on other traffic sources you avoid your blog shutdown overnight sooner or later. Valentine, great info – so glad to read about those article networks. Many bloggers are still saying they work 🙂 I so agree on the automation with social media. I see several folks from TweetAdder never conversing on Twitter. Not all but many and it drives me crazy 🙂 Great they have a lot of followers but they don’t engage.I’ve tried to engage them and nothing. About anchor texts, how do you control what words are used from other sites being lnked to you? thanks for the updates about SEO. i have no idea that reciprocal linking is dead now. i think i need to erase my article about that. I have never being a fan of article spinning. I am happy that Google are punishing bloggers that have practiced article spinning on various article directories so as to increase traffic to their blogs. Best part of this post: “What you should actually be focused on in your SEO campaign are the tangibles:the traffic increase, the conversion.” It is so easy to get lost in the true task at hand when you get deep into a project. It is always nice to step back and analyze things again. You mentioned other search engines. Are you doing anything differently to optimize for other search engines such as Bing? Very good and all valid points. I wish all the companies who contact me weekly for “SEO” could read this. The one point that stood out for me was working on a plan. Many bloggers tend to work as if their blog was on fire. They put lot of effort in lots of directions and boom… they end up staying at the place they were! This waste of time and effort really saddens me. Not to say that I haven’t done it. I have done it a lot! But I’m learning lessons and moving on. There are too many thing to take care of now a days while doing SEO. Its getting really tough. Thanks for the post this new updates are really good and we all should be careful about what we do SEO wise. I own a website with 100+ articles but don’y get much of traffic. fb likes isnt increasing. i have quality content on my website but still dont get enough traffic. use twitter, google+ facebook, pinterest for my website. please help. you had better stop doing with your website. It’s got to look natural! I wouldn’t say that article submission is in total waste of time when it comes to SEO, at least not indirectly. With Google’s new push towards authorship, if a writer has a track record of writing quality articles that he/she submits to article sites then It will only Increase their value in the eyes of Google as a writer for their blog or website. Oh my gosh Valentine, this gives me a headache just reading everything. Remember when this stuff did work though! See, that’s what’s so scary is that we were taught these things and that Google was okay with them until Google isn’t okay with them anymore because “some” people have taken advantage of them instead. I do my best to not worry about SEO. The majority of my traffic comes from referrals so for that I’m grateful. To me it should be about the community and when you focus so much on getting search engine traffic to your site the majority of them won’t be sticking around for the long haul. Communities are what I focus on and with that comes comments and backlinks so all is good. Appreciate that 20 tricks though because they seriously can’t 100% be overlooked. Having the majority of your traffic coming from referrals is just amazing! You do not need to worry a lot about SEO. I think you are doing such a great work. Not only I agree to this, but also follow this.. I have seen people searching to what should be done inorder to rank better, but we should also read about what not to be done. This will help prevent getting banned from Google. Another important point which I noticed is not to focus ONLY on Google. I have been concentrating only on Google, but I will now consider Bing and other search engines as well. You have updated my knowledge about SEO. Article submission is dead, wasn’t aware of this fact. Because on some blogs I still read about the benefits of article submission. Some points like “empty content” and “doorways” went above my head, because I had no idea that people would even do that. Hi Belonwu.. I’ve found your article as good as i m looking for current scenario of SEO, and most of them are the bad techniques that we should not use from the starting of a website like the black hat techniques you’ve described such like doorway pages, cloaking and some technical entity broken links, content etc.. But i want that remaining these 20 now you should define 20 best practices to improve website SEO in 2013 so readers can differentiate which shouldn’t use and why.. 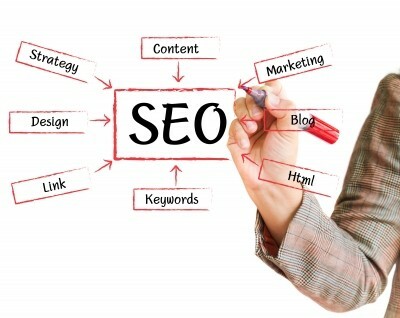 I hope you will shortly come with a new article like 20 best SEO practices to implement on website…. Hi there. Really a great post. Thanks for sharing it. Thanks for posting these SEO tips, I am paying more attention to the SEO methods I am using in my blog. Although I am not really writing for the search engines, I would like to rank for the keywords to help me get more traffic. These tips will definitely come in handy. Really nice and very informative article. i think I might have to read it over and over t understand it properly. Thank you very much for sharing. Thanx Mate for sharing helpful tricks by which we can improve our SEO. !! This was really helpful to me, so thank you Valentine! I’m a bit new to blogging and SEO, and I didn’t even know these tricks existed let alone worked years ago. It’s hard to believe to what end people will go to fool the system when its inevitable that the system will adapt. I absolutely agree with you about automation. Hootsuite is nice because it lets you schedule posts, but completely automating social networking is a stretch. It’s about establishing quality connections with people in your niche, so how can you accomplish that by employing a robot? It makes no sense to me. I have one question about keywords, though. What is the prime keyword density that isn’t overdoing it? Thank you for this wonderful information! I feel quite enlightened. Wow, what a great post!!! You have expressed yourself very well. You have explained each and every point in very detail and in very simple manner. You are right many bloggers do such mistakes that you have mentioned but after reading your post they will keep all these points in their mind.